After losing his father to the fertilizer plant explosion that almost destroyed his hometown, Parker Pustejovsky is spearheading the effort to recover—and he’s barely old enough to read. WEST, Texas — One year ago on April 17, five-year-old Parker Pustejovsky lost his father in the fertilizer plant explosion that wrecked the small Texas town of West. Joey Pustejovsky was one of 10 first responders to die trying to put out the fire that precipitated the blast. It wasn’t long before young Parker declared he would rebuild the city park, stripped bare by the explosion—and he’d do it by selling hot dogs. Word of Parker’s plan spread quickly in the tight-knit Czech town, known for its famous kolache bakery on Interstate 35 between Austin and Dallas. His grandparents and late father’s friends helped him create Parker’s Park Project and plan the hot dog sale that would raise $83,000 in the course of just a few hours on a July afternoon. Last Saturday, Parker’s Park Project unveiled the preliminary design for the playground and held a silent auction, run by the cast of A&E’s Storage Wars: Texas. Whoops! Sorry for the double post. DALLAS — The men who died last year fighting a fire at a Texas fertilizer plant that then exploded have been called heroes, but they have also been called victims of a failed system. Officials from the State Fire Marshal's Office on Thursday plan to meet with residents of West to present the findings of their line-of-duty report examining the deaths of the 10 first-responders and two volunteers who were killed in the blast 13 months ago at the West Fertilizer Co. plant. Fire Marshal Chris Connealy said Wednesday that he would discuss the report after meeting with the victims' families. Many of the first responders' widows, children and friends still live in the town of 2,800, known as a close-knit community with a strong Czech heritage inherited from the immigrants who settled there a century ago. Some of them attended a meeting last month held by the U.S. Chemical Safety Board, an oversight agency that conducted a separate investigation into the blast. The safety board said the firefighters didn't know enough about what they faced inside the plant: 40 to 60 tons of ammonium nitrate, a chemical used as a fertilizer, but also an industrial explosive. Residents who spoke sought to defend the firefighters, most of whom were volunteers, and cited potentially conflicting guidance on how to respond to situations like the one at the plant. West Mayor Tommy Muska, who is also a volunteer firefighter, questioned whether investigators needed to focus more on the production of the ammonium nitrate, including ways to make it chemically safer. WEST — The firefighters who tried in vain to stop a burning Texas fertilizer plant from exploding weren’t prepared for the dangers of the blaze, which was too big for them to fight, state investigators said in a report released Thursday. The April 2013 blast at West Fertilizer Co. killed 15 people, including 12 men who were trying to stop the initial fire that investigators believe caused the detonation of stores of ammonium nitrate. The resulting explosion injured more than 200 people and leveled homes and schools in this tiny city about 20 miles north of Waco. The report renews calls for state and local action to better prepare first-responders. The report does not explain what caused the initial fire, which is perhaps the biggest remaining question about the tragedy. Federal and state investigators last year identified three possible causes of the fire: a golf cart battery, an electrical system or a criminal act. The report echoes recommendations that fire experts and others who have investigated the blast have previously made. It says Texas should adopt training standards for volunteer firefighters and allow all counties to enact a fire code, which state law prohibits. Local firefighters and agencies need to establish plans for dealing with large-scale commercial fires and hazardous materials such as ammonium nitrate, a common ingredient in fertilizer that is sold all over Texas. The report also calls for a mandatory retrofitting of buildings that store ammonium nitrate to add sprinklers, which West Fertilizer Co. did not have. There were no surprises in the report for me. Seventy-seven percent (77 %) of all firefighters are volunteers in Texas. 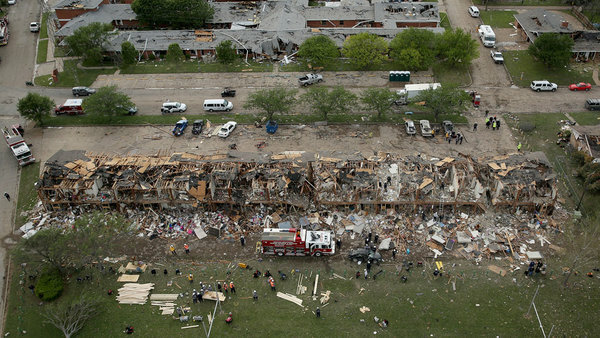 Search and rescue workers comb through what remains of a 50-unit apartment building (foreground) and the West Rest Haven Nursing Home the day after an explosion at the West Fertilizer Company destroyed the buildings April 18, 2013 in West, Texas. Emory, Texas is a 1,200-population farming community 65 miles east of Dallas whose economy depends largely upon the Potts Feed and Fertilizer store in the center of it. And while the feed store is well marked, that tan building on the back end of the property is not. It contains ammonium nitrate. WEST -- An explosion rocked the town of West more than a year ago, leveling the center of the town. Inside the fertilizer plant, Ammonium Nitrate exploded. To this day, we still don't know why. 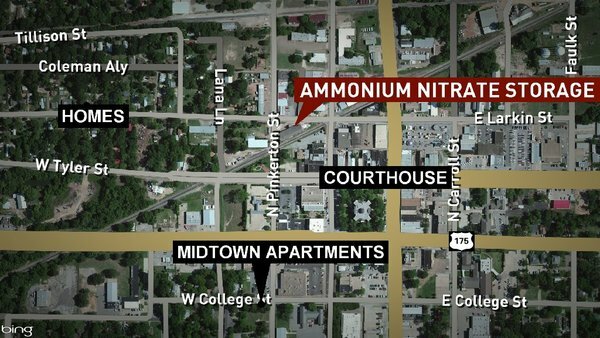 We do know that Ammonium Nitrate caused it -- and can be anywhere fertilizer is. News 8's Brett Shipp first told you about this back in December and now this government report, obtained by the Associated Press, shows the government doesn't know where are all of these facilities are located. Ammonium Nitrate is a often used as a fertilizer. The Department of Homeland Security keeps a database of facilities that store it -- like the one that exploded in West. There are about 1,300 on the list; 108 are right here in Texas. But this new report from the Government Accountability Office shows the government may have missed as many as two-thirds of these storage sites. And we’re not just talking about plants, like in West. This includes supply retailers and fertilizer distribution warehouses. The report, in part, blames poor communication between states and the federal government. WEST (May 22, 2014) A lawsuit filed Tuesday in Waco's 170th District Court claims the insurance company for the West Independent School District has shorted the district in claims filed in the wake of the April 17 2013 West Fertilizer plant explosion. The suit names Argonaut Insurance Co., Trident Insurance Services and the Texas Association of Public Educators as defendants and claims they breached their contract with the district and violated state insurance codes in the wake of the explosion that destroyed two school buildings and damaged another. West ISD Superintendent Marty Crawford said the school board elected to file the lawsuit after Argonaut offered to pay the district $23 million, but that number falls $30 million short of the district claims for losses. The new lawsuit does not specify damages but claims they exceed $1 million. According to the company’s website, Argonaut Insurance Company is a subsidiary of Argo Group International Holdings, Ltd., which has an office in San Antonio. Argo Group is an international underwriter of specialty insurance and reinsurance products in areas of the property and casualty market, according to the website. The association’s website says Texas Association of Public Educators is a non-profit organization created in 2005 for the benefit of public school districts across Texas. The website also points out that “Trident Insurance Services and TAPE have worked together to develop a comprehensive array of insurance products … (including) general liability, automobile liability, educators legal, identity theft, liability, property, and inland marine. The lawsuit claims TAPE is an organization that was created by and for the benefit of Argo Group and is not a professional educator’s website. WEST (May 22, 2014) The Crandall Volunteer Fire Department presented West VFD officials Thursday with a check for $16,000, but it took some doing to pull the donation together. The firefighters started holding small fundraisers last year after the deadly April 17, 2013 fertilizer plant explosion. Over time, the effort generated $16,000, but when the time came to cut the check, the Crandall volunteers discovered the department’s bank account had been emptied. A Texas Rangers investigation revealed that more than $140,000 had been misappropriated from the department and produced evidence that the department’s firefighting equipment had been used as collateral for personal loans. The department’s former chaplain and treasurer was charged last year with abuse of official capacity. The department was forced to sell most of its trucks to stay afloat. Thursday a tearful West Fire Chief George Nors accepted the check from Crandall Fire Chief Allen Cousins. “You can replace money and funds lost, you cannot replace lives,” Cousins said. We wanted to do the right thing and get back the $16,000 we raised for West,” he said. 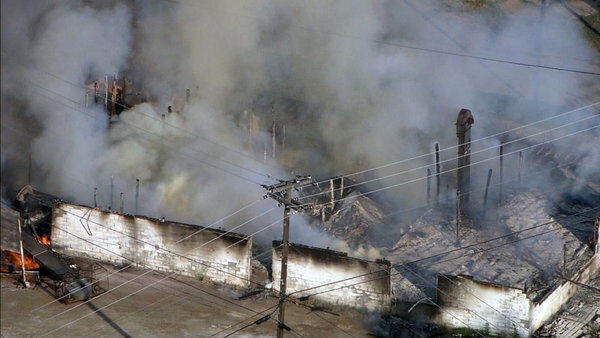 DALLAS –- Firefighters evacuated the town square in Athens Thursday afternoon because of a large fire a block away that burned down a facility that stores ammonium nitrate fertilizer. That is the same fertilizer that exploded at a storage facility in the town of West, Texas, in April 2013, killing 15 people. Thursday’s fire started about 5:30 p.m. according to resident Billie Morse. It’s uncertain what sparked the fire, but images on social media showed large flames shooting into the air. The building at 105 W. Larkin St. is owned by East Texas Ag Supply. Officials say they are treating the area as a crime scene. ATHENS -- Athens officials say 70 tons of ammonium nitrate were delivered to the fertilizer plant warehouse just before a giant fire broke out on Thursday. It’s not clear how much of it had been sold and what actually remained in the bins when the fire started at the facility at 105 West Larkin Street. There was an estimated 20 to 30 tons of ammonium nitrate in the West facility when it exploded last year, killing 15 people. No one was injured in the Athens fire. During a press conference on Friday, the Athens fire chief told reporters that 47 residents spent the night in shelters after being evacuated when the fire broke out at the plant. Officials have labeled the plant as a crime scene because they think it's suspicious that there was a 30-minute window between the last employee leaving the plant and the first reported call to authorities. The five-block radius around the plant will be blocked off for the next six to eight hours. The evacuation order is still in place. Officials with the fire department said two agencies spent the night and morning monitoring air quality. They said there was little to no toxicity in the air. No injuries have been reported, but residents in Athens have been telling horror stories to News 8 crews on the scene. They say they heard two loud explosions at the fertilizer plant, and claim that emergency crews told them initially to hide behind their apartment complex. Moments later, they were forced to leave in a "disorganized" and "unorderly" way. 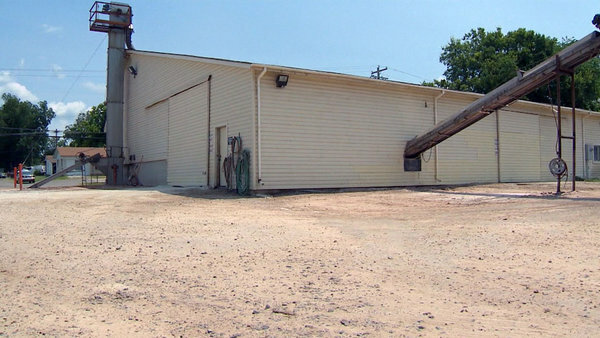 While crews were busy fighting a fire at a fertilizer storage facility in Athens on Thursday night, a thief stole one of the firefighter's personal trucks. Athens firefighter Gene Lattis was off-duty Thursday night when he was called in to help fight the fire. He suited up and went to the scene, leaving his maroon 2001 Toyota Tundra unlocked at the station. It was attached to a trailer carrying a new lawnmower and tools he used for extra money. While he was fighting the fire, coworkers went back to the station and realized it was gone. The loss is valued at more than $18,000. Considering what could've happened at the fire, Lattis says getting burned by thieves is small in comparison. So far, Athens police have no suspects. Lattis says insurance will help recover his losses, and the community is also starting a collection for him. AUSTIN- The State Fire Marshal's Office is conducting a series of 6 meetings this summer with county officials and first responders across Texas on ammonium nitrate storage facilities. It's partnering with a number of agencies including the Texas Division of Emergency Management and the Texas A&M Engineering and Extension Service. The purpose is to review lessons learned from the April 2013 fertilizer plant fire and explosion in West, Texas. Firefighters have evacuated the town square in Athens because of a large fire burning a block away at a facility that stores ammonium nitrate fertilizer. That is the same fertilizer that exploded at a storage facility in the town of West, Texas, in April 2013, killing 15 people. ATHENS, Texas (AP) — Investigators have been unable to determine the cause of a fertilizer fire at an East Texas farm supply lot. Officials said Monday there is no evidence or indication of a criminal or intentional act that caused last week's fire. Athens Fire Chief John McQueary says "the only causes that could not be eliminated are related to an electrical failure." Fertilizer fires have been of concern in Texas since an April 2013 fertilizer plant explosion killed 15, injured about 200 others and devastated the Central Texas town of West. A fertilizer storage facility in Athens, Texas was gutted by fire on May 29, 2014. I wonder if they're worried about some folks with bad intentions having knowledge of where these are stored? DALLAS -- For the past 30 years, federal law has required chemical makers and handlers to disclose what's stored on premises. It's called the Community Right To Know Act, and it has been at the core of the safety conversation since last year's deadly fertilizer explosion in West, Texas. But News 8 has learned that in the past few weeks, state health officials have stopped making those hazardous chemical records public. On May 29, emergency responders in Athens, Texas, were faced with a potential disaster. An old storage building filled with explosive ammonium nitrate near the center of town was on fire. According to the Community Right To Know Act, the chemical contents of that building had to be publicly disclosed through what's called a Tier II report. According to the Environmental Protection Agency, “states and communities [...] can use the Tier II information to improve chemical safety and protect public health and the environment." In Texas, Tier II reports are kept on file at the Department of State Health Services and according to its web site, those reports are public information. All citizens "may ask for" them by simply filling out a request. Yet, just days ago, following the ammonium nitrate building fire in Athens, when News 8 asked the Department of State Health Services for an updated Tier II report on the facility, department spokesperson Carrie Williams told us, "We're not able to release the kind of information you're requesting." Williams cited an Attorney General's ruling from May 22, 2014, which denied public access to "Tier Two information [...] because it reveals the location, quantity and identity of hazardous chemicals [...] likely to assist in the construction of an explosive weapon." Emergency officials and responders are now the only ones in Texas able to access Tier II reports. We even checked with neighboring states, Louisiana, Oklahoma, and New Mexico. Officials in all three states say their Tier II hazardous chemical information has always been available to the public upon request. So, again, why are those reports suddenly off limits in Texas? When we tried to ask Attorney General Greg Abbott last week at the GOP Convention in Fort Worth, he excused himself, promised to return, but never did. Abbott also declined a formal, on-camera interview. Attorney General spokesman Jerry Strickland later told News 8 the decision not to release the Tier II reports is being made by the Department of State Health Services. State Health Department Commissioner Dr. David Lakey also declined to interview with News 8. His office said it will not release any Tier II reports until the Attorney General issues another ruling. Dallas County Judge Clay Jenkins says federal law is clear, and he's confused as to why state officials would be risking public safety. "You want to know where dangerous and potentially-explosive materials are,” Jenkins said. “You don't want to put your child in a daycare right next to an explosive chemical warehouse." Or, as is currently being debated in Athens, Texas, whether to allow another ammonium nitrate storage facility to be built in the center of town. If you would like to see chemical inventories public again, contact Dr. David Lakey, commissioner of the Texas Department of State Health Services at david.lakey@dshs.state.tx.us, and Texas Attorney General Greg Abbott at greg.abbott@texasattorneygeneral.gov. AUSTIN, Texas (AP) - The first bill drafted by Texas lawmakers in response to the West fertilizer plant explosion that killed 15 people is already getting pushback from Republicans. GOP House members said Tuesday they worried about small fertilizer operators in rural Texas counties paying for new regulations intended to improve safety. Republican state Rep. George Lavender called the early proposals "overkill." The draft includes requiring ammonium nitrate to be stored in non-combustible containers. The Texas Legislature doesn't reconvene until January. El Paso Democrat Joe Pickett authored the unusually early draft bill after the House Committee on Homeland Security and Public Safety spent the past year investigating the 2013 explosion in West. Pickett, who chairs the committee, said Texas will have another "major disaster" without any changes to the law. A new 17-page report documents the extent of the injuries caused by the April 17, 2013, explosion at the West Fertilizer Company facility in the city of West, Texas. Prepared by a team that included personnel from the Waco-McLennan County Public Health District and the Texas Department of State Health Services – including epidemiologists, public health nurses, physicians, and preparedness professionals -- it assessed all of the injuries, including the 15 fatalities. The injury rate among the city's 2,831 residents was 7 percent, it states. It says 61 percent of the 262 patients with non-fatal injuries were women, average age 53.6 years – 72 of whom were residents of the West Rest Haven nursing home, which was heavily damaged by the explosion. Abrasions and contusions were the most common type of non-fatal injury, affecting more than half of the injured patients. Lacerations and penetrating trauma ranked second, and traumatic brain injury/concussion ranked third, affecting 21 percent of the injured patients. Tinnitus/hearing problems and eye injuries ranked fourth and fifth, respectively. All patients who were admitted to a hospital were no more than 1,500 feet away from the epicenter of the explosion, it states. The report includes recommendations for the general public, including that families should develop a family emergency plan in case a disaster should affect their community. AUSTIN — The first bill drafted by Texas lawmakers in response to the West fertilizer plant explosion that killed 15 people got an icy reception Tuesday from Republicans who said the tougher proposed regulations would overburden storage facilities with complexities and cost. "It seems like we're out there with a power grab," Republican state Rep. Dan Flynn said. Giving the state fire marshal more inspection authority and requiring ammonium nitrate — the chemical that caused the massive and deadly fireball at West Fertilizer Co. in April 2013 — to be stored in non-combustible containers are among the first proposed new laws put on paper. The Texas Legislature doesn't reconvene until January, and writing any bill this far in advance is unusual. But the draft comes after the House Committee on Homeland Security and Public Safety spent the past year investigating the explosion that mostly killed firefighters and first responders. Chairman Joe Pickett, an El Paso Democrat who wrote the bill, said that without stricter laws there would be another disaster on the scale of the West blast. "I don't think there has been much actual, physical change to any of the facilities that are dangerous" since West, Pickett said. "I think some of them are waiting to see what Legislature might do but very few have done anything to make it safer." Immediate pushback from GOP lawmakers on the panel signaled how tough it could be to push substantial changes through the Republican-controlled Legislature next year. They broadly called the first draft "overkill" and openly wondered how small fertilizer plant operators could afford to meet new regulations. The state fire marshal has supported requiring structural improvements to 46 facilities in Texas that store ammonium nitrate. In the West explosion, the ammonium nitrate was stored in flammable wooden containers. The blast injured 200 people and caused $100 million in damage in the rural city. Pickett did defend Republican Attorney General Greg Abbott, the favorite to succeed Gov. Rick Perry next year, who ruled in recent months that the exact location of facilities storing potentially dangerous chemicals like ammonium nitrate should be kept confidential. Abbott's office has cited security concerns. Page created in 7.171 seconds with 19 queries.